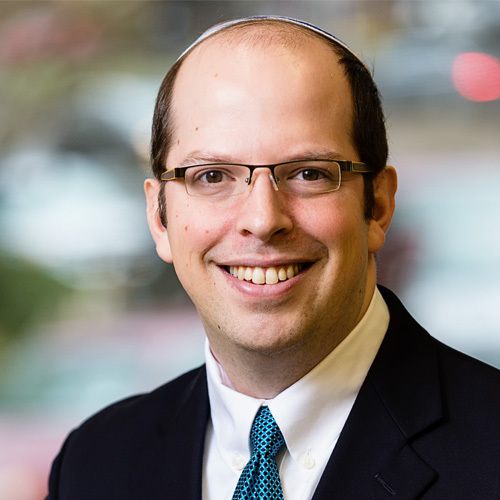 Daniel Blumenthal Hoffman grew up in the Boston, MA area and received his BA in Jewish Studies and Psychology from Yale University He has taught at Akiva School in Nashville, TN, and spent 20 years as a camper and staff member at Camp Yavneh in Northwood, NH. Daniel’s rabbinic internships include Harvard Hillel in Cambridge, MA, as well as CCNY Hillel in Manhattan. In 2018, he also served in a temporary capacity at The Great Synagogue in Sydney, Australia filling in while the rabbi was on leave. While at YCT, Daniel volunteered as an Emergency Medical Technician with Riverdale Hatzalah. Upon receiving semikhah, Daniel and his wife Eliezah moved to California, where he is the Mashpiah Ruchani at Oakland Hebrew Day School.